Dyspraxia is a double-edged sword! Meaning there are attributes we Dyspraxics have that make us truly unique and fascinating. 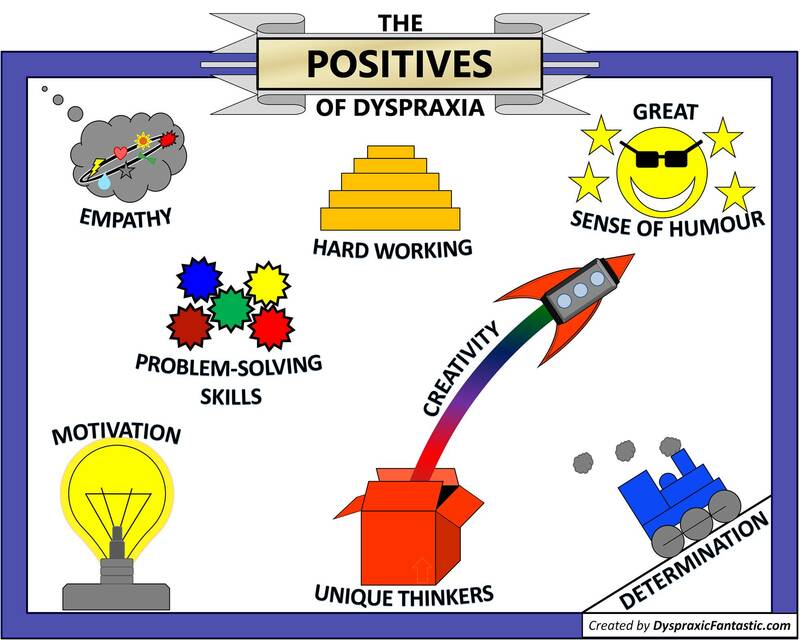 However on the flip side there are negatives with Dyspraxia – but ruling out the general difficulties (see Living with Dyspraxia) these negatives are the problems that we face as a result of lack of understanding, etc. Hi Debbie, Just looked at your blog-found it touching and amazing. With your permission I would like to include a link from my Blog onto yours as I feel that many will benefit from the different content, layout and design to help send out the clearest message possible! I look forward to hearing from you soon! thankyou for this interesting insite to dyspraxia. My son, now 25 was diagnosed aged 5 years old. He ticked all the boxes! My husband has done a blog on his life, with his permission that you might want to look at. As a nursing sister, i was lucky enough to pick up signs that our son was not meeting certain milestones in his development and managed to get help early. The early help ensured that everyone was made aware of his condition and given a sharp telling off by me when labelled as being `lazy` or told to `pull your socks up`. Early intervention aswell as getting a job as an LSA in his senior school meant i could surrepticiously deep an eye on him . Needless to say any bullying was stamped on and teachers were very good at getting him help with school work. His cognitive ability test meant he ws 2nd from last in the lower third of his year. Accordingly he should not have obtained any exams but he walked away with 2 gcses at c level and the rest mostly d`s. I think the hardest thing to cope with is the OCD/anxiety depression. The lack of self esteem which dyspraxia can bring we were able deal with, by making him feel good about himself.